Pray then like this: “Our Father in heaven, hallowed be your name. Your kingdom come, you will be done, on earth as it is in heaven” (Matt. 6:9-10). “The prayer of a righteous person has great power” (James 5:16). These statements motivate us to take our requests to God in prayer. But prayer is more than just asking God to do things for us. 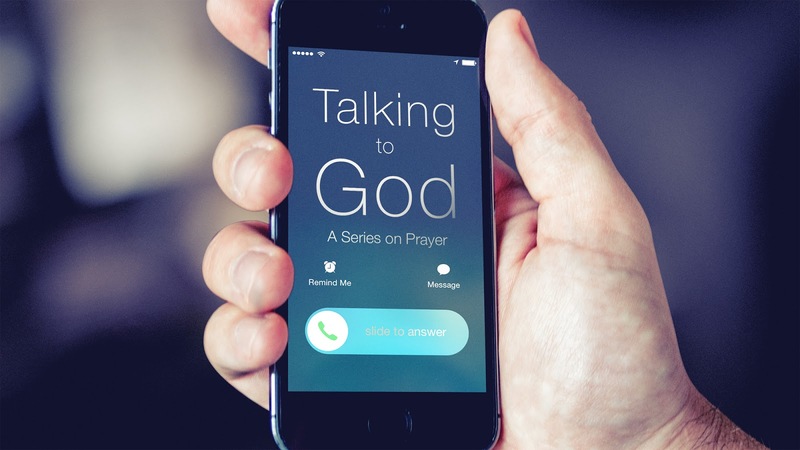 The Lord’s Prayer—the model for how we should pray—begins by focusing on God. Have you ever had a conversation with someone in which the person only wanted to talk about himself or herself? Our prayers should not be self-absorbed. Prayer is not all about us. There are three different pronouns in the Lord’s Prayer: “your,” “our,” and “us.” There are six requests in the prayer, with each request containing a pronoun. The first three requests use the pronoun “your”: (1) “hallowed be your name,” (2) “Your kingdom come,” and (3) “your will be done.” The last three requests use the pronouns “our” and “us”: (1) “Give us this day our daily bread,” (2) “forgive us our debts,” and (3) “lead us not into temptation but deliver us from evil.” The first three requests are about God’s glory; the last three requests are about our good. Prayer is not about coming to God with our personal agendas; it’s seeking his agenda for our lives. God is not our errand boy! While the focus of the first three requests of the Lord’s Prayer is on God, focusing on God is actually beneficial for us. 1. May your name be hallowed. God’s “name” refers to who God is. To “hallow” God is to honour him as holy. God is holy in the sense that there is no one like him. He says, “I am God, and there is no other; I am God, and there is no one like me” (Isa. 46:9). God’s word continually tells us to praise God? For example, Psalm 113:3 says, “From the rising of the sun to its setting, the name of the LORD is to be praised!” Does God have an ego problem? No, the Westminster Shorter Catechism says that the chief end of man (i.e., our number one purpose) is “to glorify God, and to enjoy him forever.” C. S. Lewis writes that “the delight is incomplete until it is expressed.”  God knows that we can’t fully enjoy him unless we praise him (like we don’t fully enjoy a great movie unless we praise it). Of course, we can honour God not only with our lives but also with our lives. 2. May your kingdom come. In one sense the kingdom of God has already come. When Jesus’ became his earthly ministry, he announced, “The kingdom of God is at hand” (Mark 1:15). Jesus reigns as King over his people (i.e., the church). When we pray, “Your kingdom come,” we can pray that God’s kingdom would grow (i.e., more people would make Jesus their King). But the kingdom in its fullest sense is still future. It will come to earth when Jesus returns. Jesus declared that the sooner all the nations hear the gospel, the sooner he would return: “This gospel of the kingdom will be proclaimed throughout the whole world as a testimony to all nations, and then the end will come” (Matt. 24:14). The apostle Peter writes that we can hasten the return of Jesus by how we live (“waiting for and hastening the coming of the day of God,” 1 Peter 3:12). 3. May your will be done. “Our ‘prayer doesn’t work’ often means ‘you didn’t do my will, in my way, in my time.’”  And remember, sometimes we need to put feet to our prayers. Jesus prayed, “Not my will, but yours, be done” (Luke 22:42). The death of Jesus on the cross was the will of God. Jesus was “delivered up according to the definite plan and foreknowledge of God” (Acts 2:23). The apostle Paul describes God’s will as “good” (Rom. 12:2). Obviously, the death of Jesus on the cross was good for us. But was it good for Jesus? In the short-term, no. But in the long-term, yes. Not only did it allow Jesus to provide salvation for us, but he also was exalted as King of kings and Lord of lords. It is always best to do the will of God, though doing it might sometimes be very difficult. C. S. Lewis, Reflections on the Psalms, 95. Paul Miller, A Praying Life, Kindle location ?. The last enemy to be destroyed is death (v. 26). Death did all it could to keep Jesus in the tomb, but it failed. Death lost the battle. The tomb was empty. Jesus had risen. And the apostle Paul taunts death, saying, “O death, where is your victory? O death, where is your sting?” (v. 55). 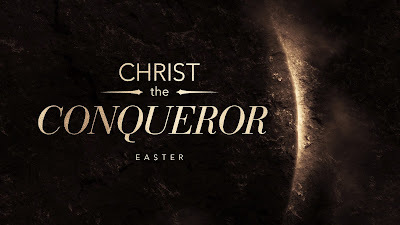 Jesus is the conqueror of death. The consequence of humanity’s first sin was death. God had warned Adam and Eve that if they ate the forbidden fruit, they would “surely die” (Gen. 2:17). Their physical death, unless God intervened, would bring eternal separation from God. Since that first sin, “death reigned” (Rom. 5:14, 17) over the human race. But when Jesus came into this world, he came to put death’s reign to an end. Death could not destroy Jesus. Only one person ever died and then was raised to life, never to die again. And one day he will return to destroy death forever. “The last enemy to be destroyed is death” (v. 26). Christ’s victory is our victory: “Thanks be to God, who gives us the victory through our Lord Jesus Christ” (v. 57). When a believer dies, his or her spirit goes to heaven. To be “away from the body” is to be “at home with the Lord” (2 Cor. 5:8). Then when Jesus returns—if we don’t live until that day—our bodies will be raised. “The dead will be raised imperishable, and we shall be changed” (v. 52). Our new bodies will never die. “Death shall be no more” (Rev. 21:4). But why do we need new bodies? Couldn’t we exist in eternity as spirits? If there is no future resurrection, then God will not have absolute victory over death. God is in the process of undoing the damage that sin has done to the world (“Behold, I am making all things new,” Rev. 21:5). Many of us are so familiar with the story of the resurrection that we don’t appreciate how unbelievable it is. “Unbelievable” is an overused word. According to one dictionary, “unbelievable” means “difficult or impossible to believe.” For the person who hears the story of the resurrection for the first time, it really is unbelievable. We must acknowledge that the resurrection of Jesus is a story that’s hard to believe. How could a crucified man rise from the dead? If you were told that [dead celebrity] had risen from the dead, you wouldn’t believe it. Dead people stay dead. What makes the death of Jesus any different? It’s reasonable to believe that the resurrection is true because it’s the best explanation of the “minimal facts”—facts that are accepted by the majority of scholars, both Christian and secular. The followers of Jesus didn’t act like people who had stolen his body. They were willing to endure persecution and even martyrdom to spread the story of the resurrection. Liars make poor martyrs. The apostle Paul was once a persecutor of the church, but something changed the course of his life. Paul claimed that the risen Jesus had appeared to him (1 Cor. 15:8). Skeptics will argue that the disciples could have thought they saw the risen Jesus because they wanted to believe that he was alive. But the same can’t be said of Paul. Yes, the story of the resurrection of a crucified man is an unbelievable story. But what about the fact that the tomb was empty? What about the fact that the disciples really believed they had seen the risen Jesus? What about the fact that a man who had been an enemy of Christianity claimed to have seen the risen Jesus? How do we explain these facts if Jesus didn’t rise from the dead? Life is short, and then death comes. “What is your life? It is even a vapor that appears for a little while and then vanishes away” (James 4:13-14, NKJV). One popular view of death is that it is simply a natural part of life that we must embrace. But no matter how we tell this to themselves, death never becomes easy for us to accept. Death is an unhappy ending to life, and we crave happy endings. When our favourite baseball team’s season begins, we long for a happy ending to the season. When we read a novel or watch a movie, we want the story’s main characters to live “happily ever after.” Years ago, instead of “happily ever after,” stories ended with the words “happily until they died,” which does not sound quite as happy. But it’s true that every life ends in death. And death is sad. It’s not a happy ending. Alan F. Johnson, 1 Corinthians, pp. 29-290. It’s significant that the Gospels say that women were the first witnesses of the empty tomb. This detail adds to the genuineness of the account since in that culture the testimony of women wasn’t valued. “The Son of Man came not to be served but to serve, and to give his life as a ransom for many” (Matt. 20:28). Who was history’s greatest conqueror? Napoleon Bonaparte? Genghis Khan? Julius Caesar? Alexander the Great? Alexander the Great was undefeated in battle. By the age of 30, he had created one of history’s largest empires, stretching from Greece to India. What about Jesus? You might not think of Jesus as a conqueror, but he defeated three powerful enemies: pride, sin, and death. Jesus is history’s greatest conqueror. One enemy we all have is pride. It was pride that led to humanity’s first sin. Adam and Eve wanted to “be like God” (Gen. 3:5). It could be argued that all sin is rooted in our pride. Having humility is extremely difficult for us. (Sometimes people think they’re humble, but in reality they’re proud of their “humility.”) How can we conquer pride? Five days before his crucifixion, Jesus rode into Jerusalem on a donkey. We call this day Palm Sunday. The event itself is known as the triumphal entry. The people “cut branches from the trees and spread them on the ground” (v. 8). John’s Gospel tells us that the branches were “branches of palm trees” (John 12:13). About two hundred years earlier, a Jewish rebel group known as the Maccabees liberated Judea from Antiochus and the Greeks. One of their victories was celebrated with “palm-branches” (1 Macc. 13:51). In Jesus’ day, the Jews were under the power of Rome, and they were looking for the Messiah to defeat the Romans. The excited crowd cried out, “Hosanna in the highest!” (v. 9). “Hosanna” literally means “save us.”  However, by the first century it had become a cry of praise to God. Regardless, it’s clear that the people had salvation on their minds. The first part of v. 5 (“Say to the daughter of Zion”) is a quote from Isaiah 62:11, which goes on to say, “Behold, your salvation comes.” The people were correct in believing that Jesus had come to bring salvation, but they were confused as to what kind of salvation Jesus would achieve. In v. 5, Matthew quotes Zechariah 9:9, which describes the coming king as “humble and mounted on a donkey.”  The people in Jerusalem shouted, “Hosanna to the Son of David!” (v. 9). “The Son of David” was a messianic title. John writes that the people called Jesus “the King of Israel” (John 12:13). The people were correct in believing that Jesus was their King, but they were confused as to what kind of King he was. What kind of King was Jesus? A humble King who came to serve. What kind of salvation did Jesus come to bring? A salvation from the consequences of our sins. How would Jesus bring this salvation? Through his death on a cross. If our Lord lived as a humble servant, who are we to be filled with pride? The apostle Paul used the example of Jesus’ humility when urging the Philippians to be humble. He wrote, “Do nothing from rivalry or conceit, but in humility count others more significant than yourselves” (Phil. 2:3). He encouraged them to be humble by reminding them that Jesus, the God-man, “humbled himself” (Phil. 2:8). It’s been said that humility is “not thinking less of yourself; it is thinking of yourself less.” That’s the attitude that Jesus had. He even washed his disciples’ dirty feet (John 13:5)—as they were arguing about which one of them was the greatest! We are quick to condemn the disciples for their pride, but don’t we often act the same? When we think about the humility of Jesus, doesn’t our pride seem so foolish, so awful, so out of place? Jesus could didn’t allow pride to prevent him from completing his earthly mission. He conquered pride. How can we conquer pride? We must be changed by the gospel. The gospel moves us to humbly serve others. “Pray then like this: ‘Our Father in heaven…’” (Matt. 6:9). I’m sure most of us had a few appointments on our calendars this past week. An appointment to see your doctor. An appointment to get your car repaired. An appointment to have coffee with a friend. We do our best not to miss our appointments. If you struggle with taking time to pray, my purpose is not to make you feel guilty about your lack of prayer. My purpose is to encourage you—starting today—to make sure you keep your daily appointment with God. How am I going to do this? By emphasizing the incredible privilege it is to meet with God each day. The Lord’s Prayer begins by focusing our attention on God. “We address God intimately as Father, but we immediately recognize his infinite greatness with the addition in heaven.”  This is something we should do regularly. “Be still, and know that I am God” (Ps. 46:10). Who is God? Who is the one to whom we pray? God is triune. He is one God who exists in three persons: Father, Son, and Holy Spirit. Augustine, while walking along the beach one day was puzzling over the doctrine of the Trinity. He saw a young boy with a bucket, running back and forth to pour water into a little hole. Augustine asked, “What are you doing?” The boy replied, “I’m trying to put the ocean into this hole.” Then Augustine realized that he had been trying to put an infinite God into his finite mind. God is our Creator. He possesses infinite power and wisdom. We often talk about the vastness of the universe, but have you ever stopped to consider how vast the universe really is? In 1977, two unmanned space probes were launched, Voyager 1 and Voyager 2. In 1987—after a 10-year, 4 billion-mile journey—Voyager 1 passed the orbits of Neptune and Pluto, completing its mission. The Voyager 1 is nearly the fastest vehicle ever made. It continues to travel through space at a speed of 11 miles every second. The closest star to the earth (other than the sun) is Proxima Centauri, a little over 4 light years away. At 11 miles per second, Voyager 1 wouldn’t reach Proxima Centauri until around the year 73,500. That’s amazing. John Wesley said, “Bring me a worm that can comprehend a man, then I will show you a man who can comprehend God.” God’s greatness is incomprehensible. But so is his love! Does this sound like someone you’d like to meet each day? This about the incredible privilege it is to meet with God each day. Probably none of us would miss an appointment with [name a celebrity]. We shouldn’t pass up the opportunity to meet with our Father in heaven. R. T. France, “Matthew,” New Bible Commentary, 913. Philip Yancey, Prayer: Does It Make Any Difference?, 17.